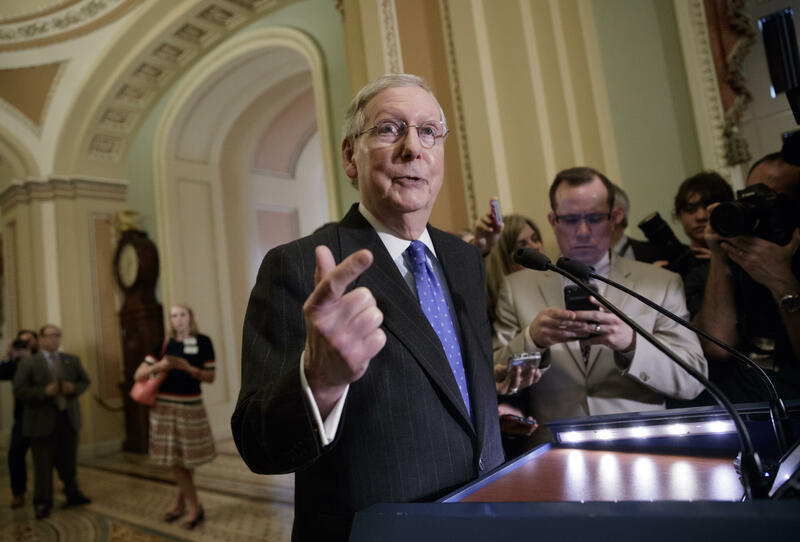 Senate Majority Leader Mitch McConnell says President Trump had "excessive expectations" about what could be accomplished under the legislative process and in the current political environment. "Now our new president, has of course, not been in this line of work before and I think had excessive expectations about how quickly things happen in the democratic process," the Kentucky Republican said in remarks Monday afternoon before a local rotary club in Florence, Kentucky. "So part of the reason I think people think we're underperforming is because too many kind of artificial deadlines unrelated to the reality of the complexity of legislating may not been fully understood," he added. The House and Senate have gone on their month-long recess for August and won't return to Capitol Hill until September. It's been 200 days since Mr. Trump was inaugurated and Congress has not passed a plan to repeal and replace Obamacare, tax reform, funding for his planned wall along the U.S.-Mexico border and an infrastructure package, among other major items on the Republican agenda. Republicans in the Senate failed to pass a plan last month to repeal and replace Obamacare and want to move onto tax reform when they return to Capitol Hill after Labor Day. Sen. Orrin Hatch said Senate Republicans are not going to return to health care in the fall and will instead focus on tax reform. The Utah Republican used a colorful metaphor to describe his party's failure to pass a repeal of Obamacare. "We're not going back to health care. We're in tax now. As far as I'm concerned, they shot their wad on health care and that's the way it is. I'm sick of it," Hatch, chairman of the Senate Finance Committee, told Politico last week. The president claimed Tuesday on Twitter that he has accomplished a lot so far in his first term. Meanwhile, the president spoke to Speaker Paul Ryan, R-Wisconsin, and other members on Monday about health care and tax reform, White House press secretary Sarah Sanders said on Twitter Tuesday.